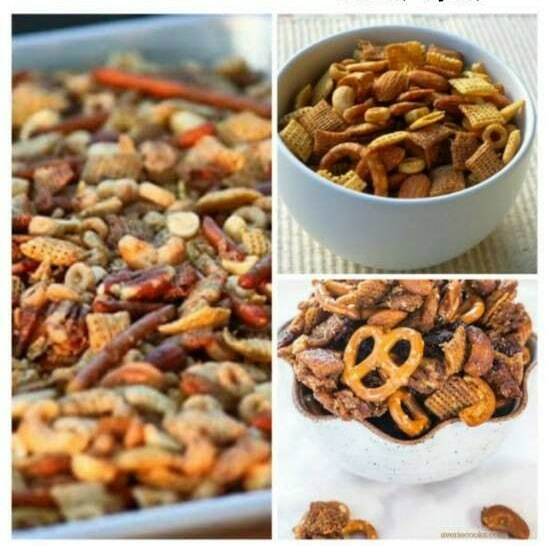 The BEST Slow Cooker Chex Mix Recipes are a great idea for a holiday party because using the slow cooker means you barely need to watch it while it cooks! 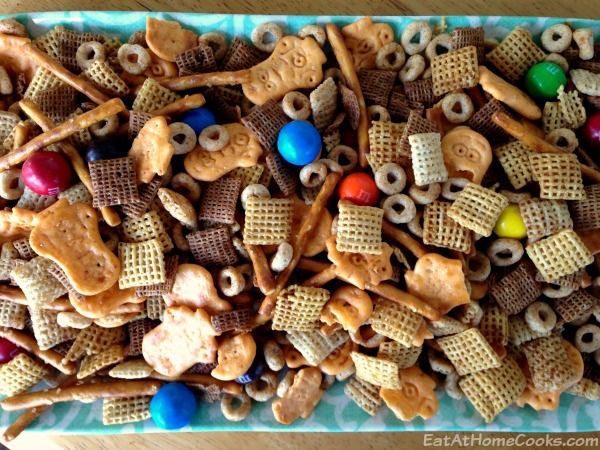 And Slow Cooker Chex Mix is perfect to make for game-day eats as well! 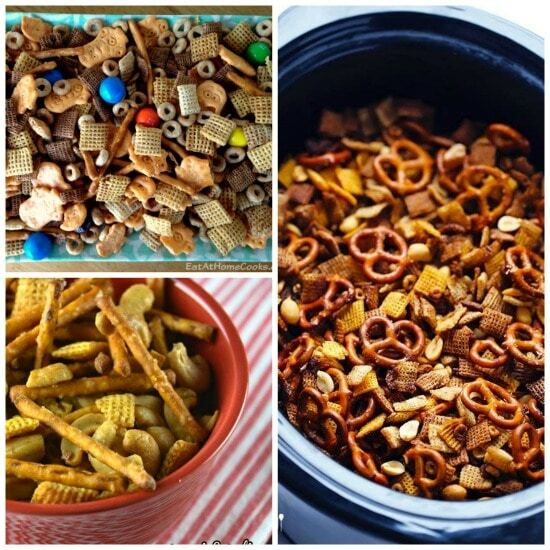 Click here to PIN this collection of Slow Cooker Chex Mix Recipes. 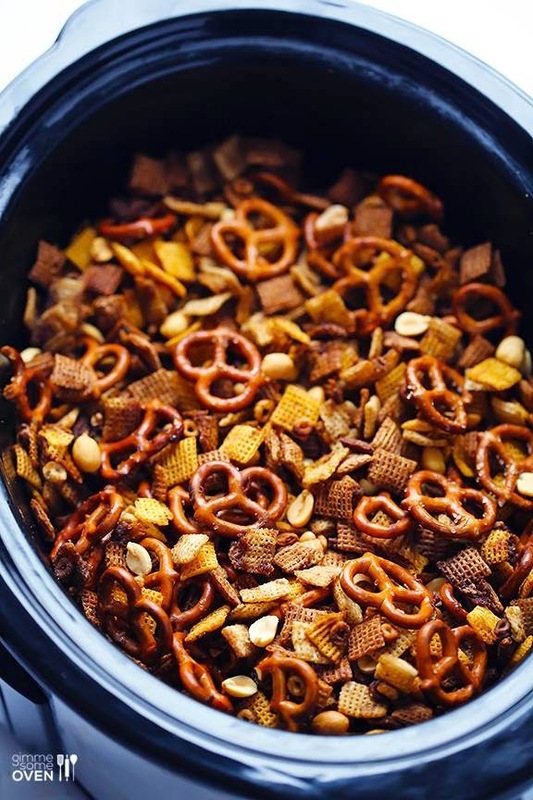 Click here for The BEST Instant Pot Party Dips! Chex Mix is a classic holiday treat, but I’d never heard of making it in the slow cooker until I saw Slow Cooker Chex Mix from Unsophisticook. I was so impressed by the brilliant idea of making it in the slow cooker so you don’t have to watch it as carefully as when it’s made in the oven. And during the holidays being able to cook without having to watch the food that much is always a plus, so Slow Cooker Chex Mix is perfect for this time of year! 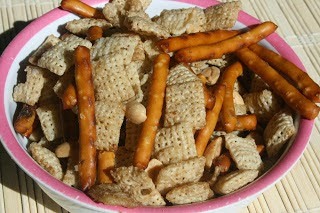 Lately I’ve been seeing more variations of this idea, and every blogger has their own take on Slow Cooker Chex Mix. 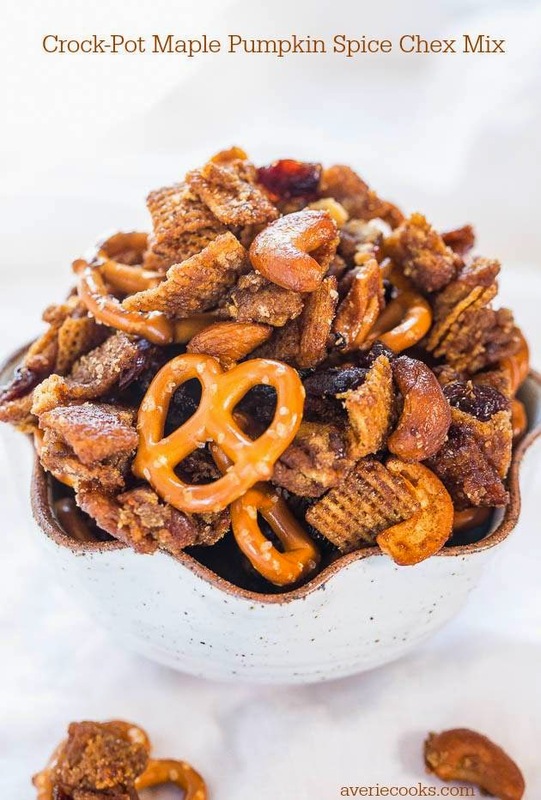 Chex Mix seems perfect for the holidays or for Superbowl parties, so even though I’m sure this recipe doesn’t really qualify as “from scratch” which is something we aim for in all the recipes we feature here, it’s Christmas and I just had to share these versions of it. 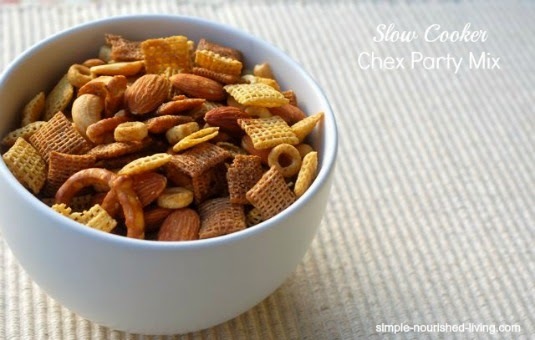 Slow Cooker Chex Mix from Unsophisticook. 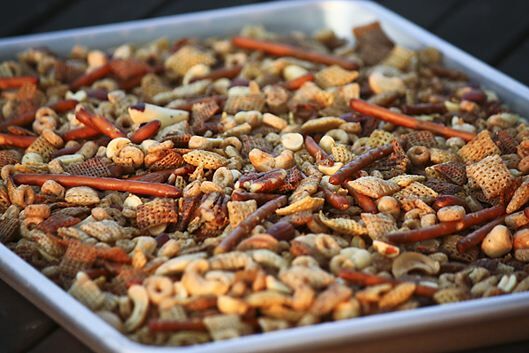 Have you made Chex Mix in the slow cooker? Let us know in the comments how it went for you! 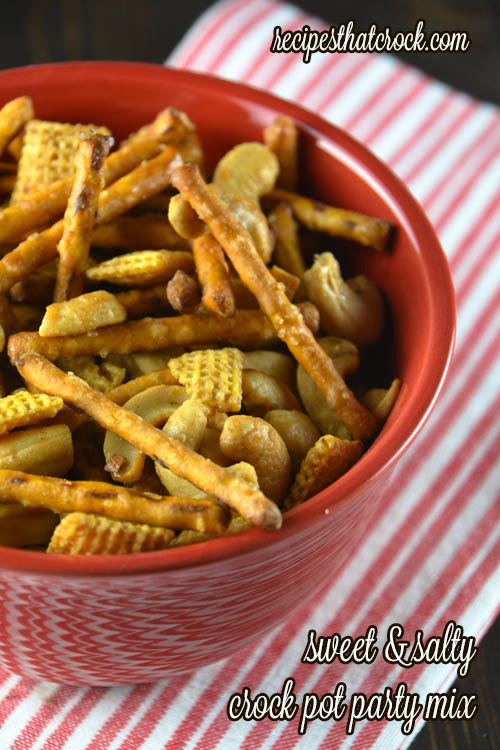 Thanks so much for sharing my recipe, Kalyn! Tara, my pleasure. And I subscribed to your blog to keep an eye out for other slow cooker ideas.